A grape-enriched diet protected against metabolic brain decline in Alzheimer’s-related areas of the brain1. In a pilot study of people with early memory decline, subjects were either fed whole grape powder equivalent to just 2 ¼ cups of grapes per day – or a placebo powder. The results showed that consuming grapes preserved healthy metabolic activity in regions of the brain associated with early Alzheimer’s disease, where metabolic decline takes hold. Subjects who didn’t consume grapes exhibited significant metabolic decline in these critical regions. Additionally, those consuming the grape-enriched diet showed beneficial changes in regional brain metabolism that correlated to improvements in cognition and working memory performance. Grapes: the perfect snack for games like chess! 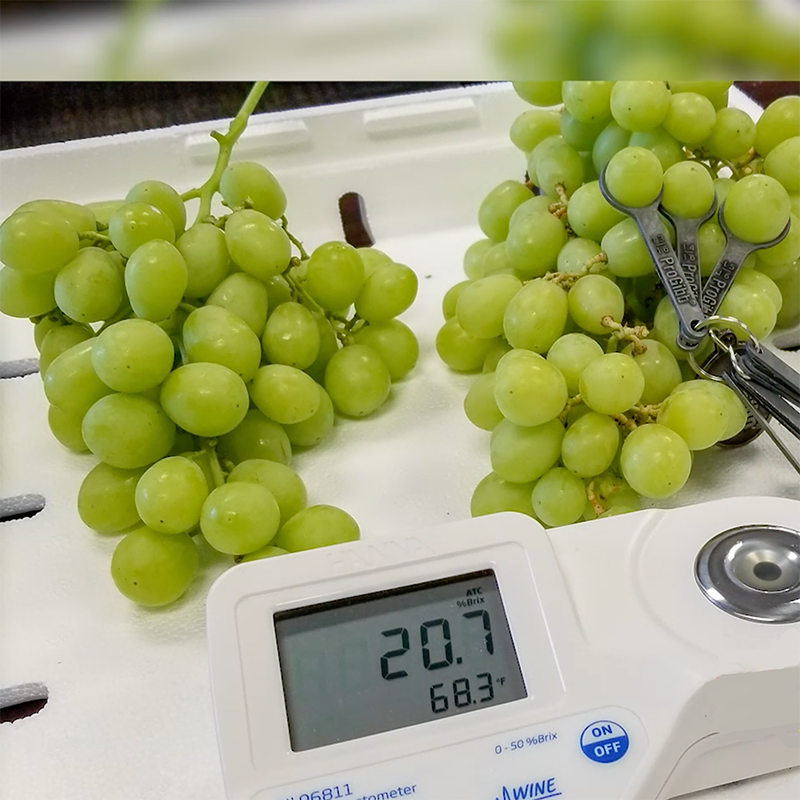 In this study, animals were fed a control diet or a grape-enriched diet at one of two levels: low and high amounts of grapes. Both grape diets helped protect against neuronal damage caused by loss of oxygen in the brain. Animals not receiving a grape-enriched diet had extensive damage. Grapes also reduced inflammation in the support cells to the neurons. This animal study investigated the role of oxidative stress in the combined occurrence of anxiety, cognitive impairment and hypertension, using a model of oxidative stress. The grape-fed animals exhibited a reduction in anxiety-like behavior, no increase in blood pressure or memory impairment, which the researchers attributed to the antioxidant capacity/activity of the grape polyphenols.A second, and similar study by the same research team investigated the role of diminished estrogen influence at menopause and its association with oxidative stress and resulting cognitive decline, heightened anxiety and hypertension. The control animals had increased blood pressure, anxiety-like behavior and learning memory impairment. 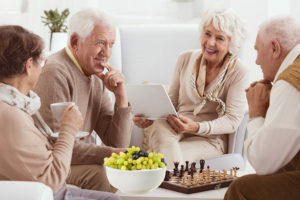 They exhibited increased oxidative stress in the brain, serum and urine, and lower amounts of an antioxidant enzyme in the brain. Those consuming the grape-enriched diet reversed these effects. A third study looked at the effects of a grape-enriched diet on post-traumatic stress in animals. In this study, the animals consuming grape powder reversed the behavioral and memory problems that were observed in those not receiving a grape-enriched diet. The researchers attributed these benefits to both gene activation and enhanced antioxidant activity resulting from grape intake. 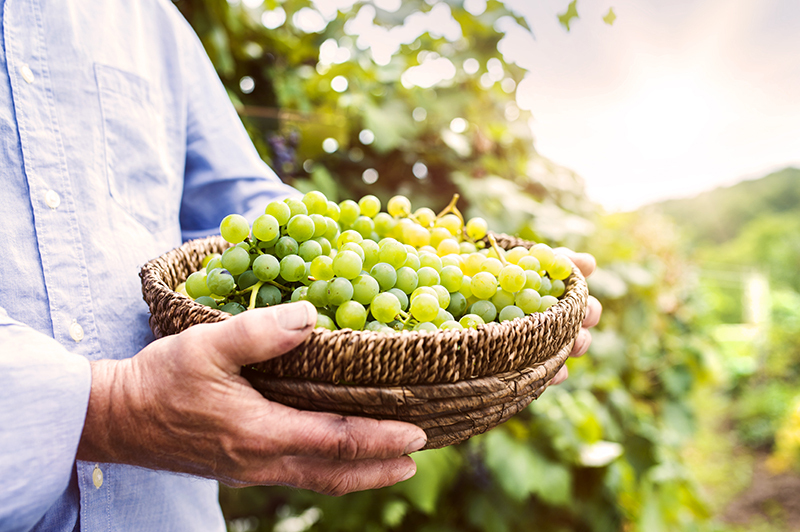 And, if you needed another reason – or 6, be sure to check out our article 6 Ways Grapes Benefit Your Body! 1. Lee, J.K., Torosyan, N., & Silverman, D.H. (2017). Examining the impact of grape consumption on brain metabolism and cognitive function in patients with mild decline in cognition: A double-blinded placebo controlled pilot study. Experimental Gerontology, 87 (Pt A), 121-128. 2. Wang, Q., Simonyi, A., Li, W., Sisk, B.A., Miller, R.L., MacDonald, R.S., …Sun, A.Y. (2005). Dietary grape supplement ameliorates cerebral ischemia-induced neuronal death in gerbils.Molecular Nutrition and Food Research, 49, 443-451. Jasmine Vineyards wishes to thank the California Table Grape Commission for granting us permission to share this great info with our readers!